So, phobos has made amazing progress on a mod for RepCom that allows for the addition of the Green and Yellow teams. The programming is nearing completion, but we have a shortage of maps made for three or four teams. We are looking for anyone interested in making a map to support this game mode. 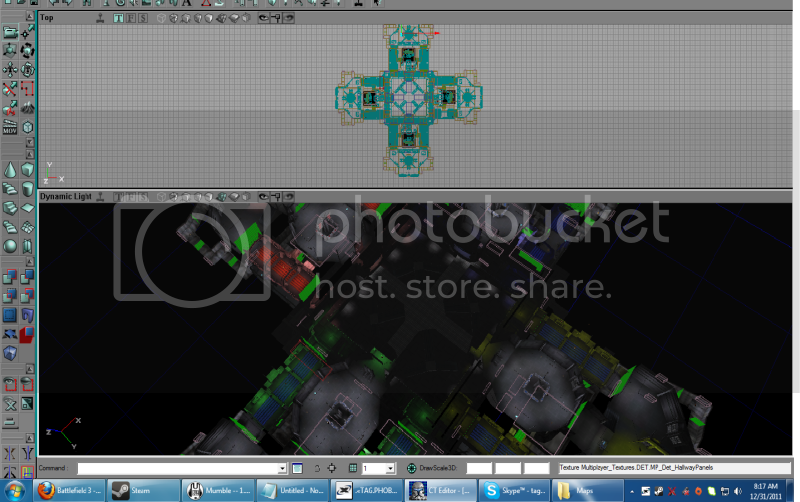 Its just like making a normal CTF map. The only thing that is different is when you go to assign teams to flags/spawns in the editor, use 2 for GREEN and 3 for YELLOW. Xfire me (tagdanny) or post here for details. Phobos is also working on green and yellow reskins of stuff like the control panels, so xfire me if you would like those aswell. What about some map on sandcrawler for using ? Here is a preview of the map so far. It is almost done I just have to finish up with the middle room and then clean it up abit.